Last night the weather started to change, which I am meeting with conflicted emotions. 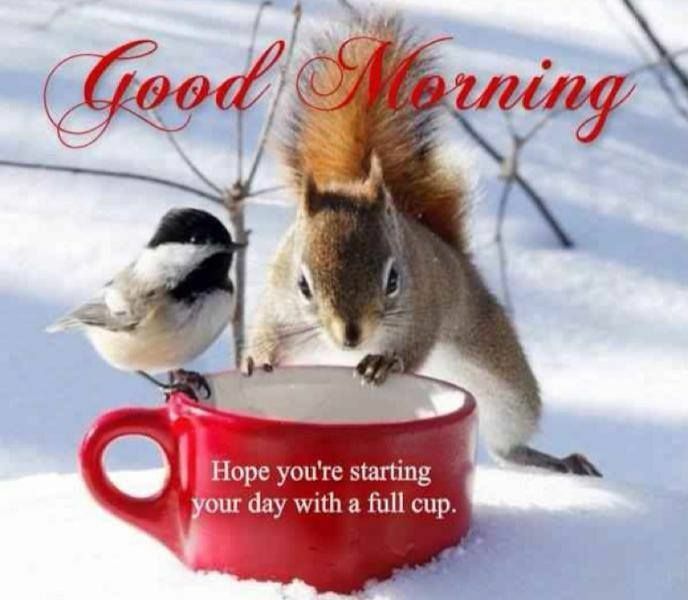 On the one hand, I know I can’t keep missing work, but on the other, I have been wishing for snow for so many years, that waking up to rain – albeit a cold rain – was a little sad for me. I can’t help but think if we could just get snow like we got this week, then sustained cold temperatures, the road crews could clear the roads, they’d stay clear, and the landscape could be blanketed in pristine robes of white for a longer period of time. However, this is the Pacific Northwest, and that is not how our weather works – heck THIS hasn’t been how our weather works! – so it’s something I just have to sigh, shake it off, and move forward. I know there have been many people stuck at home, unable to go out, even when they needed to. I’m already planning ahead for things I want to have on hand for the next time we get any sort of weather even that may keep us housebound for a few days. There is always hope for more snow next year, right? Truthful words are accurate. Words spoken in love can be a blessing. 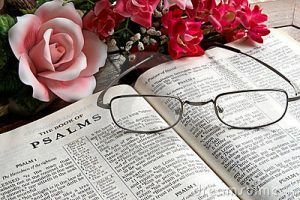 But truth spoken in love is redemptive: this kind of speech blesses those who hear it and matures those who speak it. While speaking the truth in love is often not easy, it’s worth it! Look at God and see how painful it was to speak his Word in love by sending Jesus. But in the process of that one sacrificial Word, he has saved us and revealed his heart of grace, mercy, and love. I have mentioned my Grandma K many times on a variety of posts, and when I speak to my friends. I share this every year on her birthday, and tried to think of things to change or add that would better describe who she was, but I can’t think of anything that could possibly describe my feelings better. 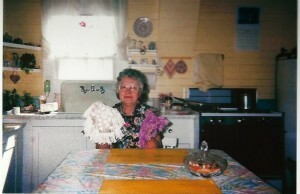 Grandma was someone pretty special and had a huge and defining influence on who I became as a woman. As I sit here looking at her picture, I feel the heat of tears filling my eyes, and the tightness in my chest from holding them back. How do I bring to each of you the essence of who she was, and give you a taste of what it was like to be loved by her? Grandma was the epitome of love. She made everyone around her want to be a better person just by being with her. I remember as a kid we would load up in the car and head down to visit. As a grown-up I know that 2-1/2 hours isn’t that long of a drive, but as a kid it took FOREVER! My brother and I knew which exit we needed to take, so we would watch for it, our excitement building as we got closer. The instant we saw that exit sign we would start getting our shoes back on and press our faces to the windows to watch for the first glimpse of the house. The crunch of the gravel under the wheels was music to our ears as we drove up the alley behind the house, the amazing flowers and colors of the garden peeking over the top of the white picket fence. We were there! And there she was! As we pulled into the yard there was Grandma, standing on the back porch, drying her hands on her ever-present apron, her face wreathed in one of the sweetest smiles anyone has ever seen. You could SEE the shine of happiness and love flowing out of her eyes as we tumbled out of the car, racing for her so we could get the hugs we’d been waiting for all day long. When her arms wrapped around us, it was nearly electrifying, how warm and accepting it was. In her embrace we were home, our hearts were in a place where we were safe – didn’t matter what we said, or how we felt, it was safe with Grandma. As if the magic of her love wove a spell around us, my brother and I would automatically put away the kid squabbles and behave. When we were with Grandma, we didn’t want her to have a disappointed look on her face, that sadness that came over her when we said something nasty to each other – like siblings will do. She would quietly say, “Don’t be cross with each other.” And we would put it away. Of course, all bets were off the moment we got BACK into the car. Let’s be real here! When we walked into the house, into the small kitchen you see in the picture, the aromas of all the food she was preparing would wash over us. We knew that we would have ham, mashed potatoes and gravy, roasted carrots, green beans, salad and pie. Always. That was the welcome home meal and it wouldn’t have been a visit without it. A filling meal was the physical manifestation of love and hospitality. I can look back and with a reality check acknowledge that Grandma used WAY too much salt, didn’t matter though. We would just drink more water to make up for it because she would have been horrified to know that we felt it was salty. She prepared her food the way she knew how, and every bite was delicious because her two precious hands touched it. Life, conversation, laughter, quiet musings, shared morning cocoa and toast – these things all happened at that kitchen table, sitting on the low counter top, or on chairs dragged in from the dining room. The noise level of my family when they got all together, cousins, aunts and uncles – it was nearly deafening. Somehow, we could always keep up on what was going on, no matter which room of the house they were in. We could be in the kitchen and respond to a conversation going on in the living room, and vice versa – don’t ask me how, I think it’s genetic. My very favorite time of the visit though, would have to be morning. My cot was always set up in the dining room between the living room and the kitchen. My parents were on the fold out couch, my brother on another cot next to them. I’d sleep next to the flickering propane fireplace, warm and cozy, but a piece of me was awake and listening for Grandma or Grandpa to sneak on by into the kitchen. That house was very old, and very cold, so they would get up early and turn on the stove in the kitchen to warm it up, and get coffee and cocoa started. Well, Grandma would get the cocoa started. Grandpa was all about the coffee percolating in his old pot. I’d give Grandma a few minutes to freshen up for the morning, then I’d sneak into the kitchen, dragging a quilt with me. After giving me a good morning hug and kiss, she’d wrap me in the quilt and sit me on a chair at the table and together we would sip homemade, from scratch, hot cocoa, dipping golden, crisp pieces of toast into it, and we would whisper together, stifling giggles that just welled up and over, so we wouldn’t wake up the rest of the house. This time was precious and special. It was only for the two of us, and when I heard the rest of the family stirring, I would get frustrated that the time was so short and coming to an end. The advice, wisdom, encouragement and acceptance gleaned at that table was special, it was life altering, and shaped me into who I am today. I have not forgotten a single moment of our time together, over the years the quilt didn’t wrap around quite as much, I could touch the floor at some point, I could get my own cocoa and serve Grandma . . . but the love was the same, or bigger, each and every visit. Grandma, I wish I could talk to you right now. I know you are in heaven with Grandpa, your Mama, and all of your loved ones who went on ahead. I know that you celebrate your birthday today with Jesus, and that the angels are celebrating the life you lived here, and your presence in heaven. It is my hope that you knew how big of an impact you had on so many lives, and that your words of wisdom and love live on. I can only hope that I will be fraction of the Grandma to my Grandchildren that you were to me. I love you Grandma. Happy Birthday. It is possible to be sad yet smile through your tears. To experience memories with a smile, while inside you are wracked with pain from times long put behind you. Today I miss my Grandma with everything in me, yet I am smiling about happy memories rolling through my mind’s eye. I can say that, though I regret missed opportunities to see her, as my life got busy when I grew up, I have no regrets about not reaching out to talk to her on the phone as often as I could. We had many conversations where we spend hours chattering, laughing, crying, then laughing some more. Reach out to the ones you love, don’t let a moment slip by without telling them you love them. You don’t want to have any regrets when the time comes that they are no longer in your life. Extraterrestrial Culture / Extraterrestrial Visitor Day – This is an officially acknowledged day in Roswell, New Mexico. It celebrates extraterrestrial cultures, and our past, present and future relationships with extraterrestrial visitors. It would be a great day for watching a movie about aliens for the fun of it! We don’t know for certain that there are aliens, but logic dictates that the universe is quite vast, and our little planet is very small, so reason says that there are probably other life forms out there! So, put the kettle on and set the table for a guest, ET might just be popping round! I admit it, this one made me giggle. Daniel R. Foley of Roswell, NM, who is a member of the New Mexico House of Representatives, introduced a bill “to celebrate and honor all past, present and future extraterrestrial visitors in ways to enhance the relationships among all citizens of the cosmos, known and unknown” I- HB77. The bill died, but the holiday has a permanent place in the odd holiday’s hall of fame. It’s good for a laugh though, right? Whether you believe in E.T.’s or not, this just was sort of over the top for me. Lincoln’s Birthday – Today is Abraham Lincoln’s birthday – though in modern times we celebrate Lincoln and all of the U.S. Presidents on President’s Day. Every American knows (or should know – I’d like to take a poll of how many people ACTUALLY know) that Abraham Lincoln was our 16th president. 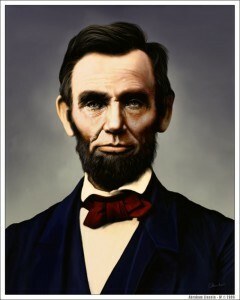 He was known as “Honest Abe”, born in the wilderness country of Hardin County, Kentucky, on this date in 1809. He became president in 1861. Even though he hated war, he was drawn into it as he believed that it was the only way to save the nation after the southern states declared their secession from the Union. In addition to serving as our President during the Civil Warm and saving the Union, Lincoln wrote the Emancipation Proclamation that ended slavery in the United States forever. He also wrote and gave The Gettysburg Address, memorializing the bloodiest and most important battle of the Civil War. Gettysburg turned out to be the turning point of the war. Shortly after the war ended, he became the first U.S. President to be assassinated. He was shot and mortally wounded on Good Friday, April 14, 1865 by John Wilkes Booth in Ford’s Theatre. Lost Penny Day – Have you noticed how people have no respect for pennies these days? So many folks just toss them aside, which I don’t get. They still add up to $1 when you get 100 of them! 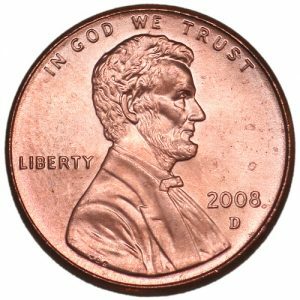 Take the time to pick up pennies you see on the ground, in the nooks and crannies in the cushions of your furniture, in the car or maybe even clean out your purse, if you carry one. See just how many pennies you can collect today that would otherwise stay lost. Did you know that the very first U.S. penny was designed by Benjamin Franklin and minted in 1787? Since that time there have been billions of pennies minted and put into circulation. It was the first coin to bear the image of a president, which began in 1909, released on February 12th to commemorate Abraham Lincoln’s 100th birthday. Oglethorpe Day – Here’s a bit of history I wasn’t aware of until today. General James Edward Oglethorpe, born in London, England on December 22, 1696, along with 100 other Englishmen, landed at what is now Savannah, GA on February 12, 1733. They named the new colony George to honor England’s King George II. 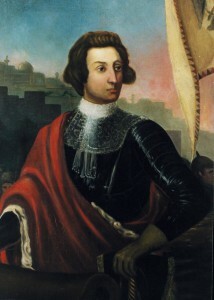 Oglethorpe was the organizer and first governor of the colony, and the founder of the city of Savannah. Both Oglethorpe Day and George Day are observed today. Paul Bunyan Day – (Born Feb 12, 1834 in Bangor, ME) – Ah, Paul Bunyan. I remember growing up we’d pass through this little town on my way to my Grandparent’s house where there were HUGE statues of Paul Bunyan and Babe the Blue Ox. Those statues just filled my little imagination with the possibilities of all of the stories that I’d heard. 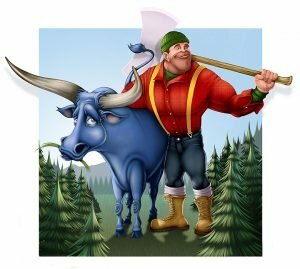 Paul Bunyan is a folk hero of the frontier, symbolizing the willingness to work hard and the determination to overcome all obstacles. He was made popular by newspapermen across the country in 1910 and has been a part of American culture ever since. I ran across a wonderful website and there’s no way I could re-tell these stories in my own words and make it sound as good, so here is the site, so you can go check out the wonderful stories. Happy reading – this is great stuff! 1870 – Women in the Utah Territory win the right to vote. 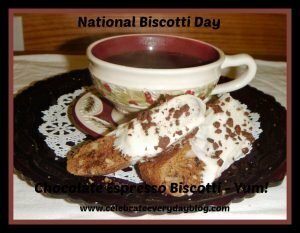 National Biscotti Day – I see that another site says that this celebration is in September, however, I see absolutely no reason not to believe that Foodimentary got this one right, and we’ve ended up with TWO Biscotti Day celebrations for the year – and I don’t see anything wrong with that! The origin of the word Biscotti (which is the plural form of biscotto) comes from the medieval Latin word biscoctus, which means “twice-cooked/baked”. In Italian the word “biscotto” means “one cookie (or biscuit”, so biscotti is plural, or two or more cookies. And seriously, since nobody can really stop at one, the plural word is appropriate. The history of biscotti has been traced back to the Ancient Romans, as it was the most convenient food for travelers. They were twice-baked, so they came out hard and dry, with a very long shelf life. I really love the history that Foodimentary puts into all of their food celebrations – such great information to have! I don’t know that I’ll get the time to make any today, but Carolyn has quite a few really great low-carb biscotti recipes on her blog, All Day I Dream About Food. This is one I think I will try as soon as I get the chance. I’ve tried her Pumpkin Spice Biscotti last fall and loved it. 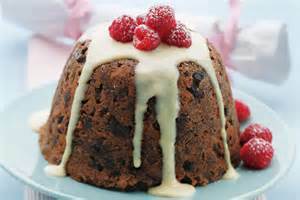 National Plum Pudding Day – A classic British Christmas treat, plum pudding doesn’t actually contain plums! So, I wonder why they call it plum pudding and not fruit cake? What I found out was that plum pudding contains flour and is as sweet and rich as any cake, it cannot be classified as cake because it doesn’t have any leavening in it, and it is not baked, but steamed. Also, it has raisins and current in it, which used to be called plums! Now it makes sense! I’ve only actually had this once, when Hubby and I were first married. He made it for us, and it was quite good! I felt terrible that we had so much other food on the holiday table that I didn’t have very much. I went on the search for a low-carb version, which I did find. However, I think I’ll save celebrating this one for Christmas this year. I can’t imagine why this one is celebrated in February in the first place! Here are some traditional high-carb recipes also, just in case you wish to give it a try and prefer not to go with low-carb. 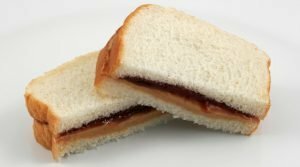 National Peanut Butter and Jelly Day – I saw this one on more than one list also – specifically today AND April 2nd. That’s OK. Peanut Butter and Jelly is a universally loved food for young and old. Did you know that it takes about 540 peanuts to make a 12-ounce jar of peanut butter? I didn’t! Also, any product labeled as “peanut butter” in the United States has to be at least 90% peanuts. If it’s less than that then it has to have the label “Peanut Spread”. The average American eats more than 6 pounds of peanuts and peanut butter every year – so truly in our house we come WAY below that average. I think my son’s household may make up for what we don’t eat though. Over 60% of the people who eat peanut butter prefer creamy over crunchy, so I am in the minority again. And lastly, the peanut is NOT a nut, but a legume, so it’s related to beans and lentils. Well, I’ve dawdled my snow day half way away, and there are things I need to do. 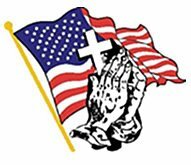 God bless you and I’ll see you tomorrow!